Home / Poco F1 / Poco F1 Launch Date In India / Poco F1 Price In India / smartphone / xiaomi / Xiaomi Poco Phone F1 / Xiaomi Poco Phone F1 Launch Date? Poco F1 Specifications? Poco F1 Flipkart? Poco F1 Price? Poco F1 Snapdragon 845? Xiaomi Poco Phone F1 Launch Date? Poco F1 Specifications? 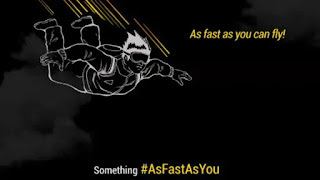 Poco F1 Flipkart? Poco F1 Price? Poco F1 Snapdragon 845? Xiaomi Poco F1 Ki Launch Date Najdik Aa Rhi Hai. Or Wahi Sath Hi Sath Poco F1 Specifications Or Poco F1 Ke Baare Me Nayi Nayi Jankari Aa Rhi Hai. Aayiye Detail Or Short Me Baat Karte Hai. Xiaomi Poco Phone F1 Ke Baare Me. Xiaomi Poco Phone F1 Ko 22 August Ko Launch Kiya Jaega. Poco F1 Snapdragon 845 Ke Sath Launch Kiya Jaega. 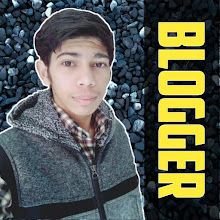 Smane Aayi Jankri Ko Flipkart Ke Anusar Poco F1 Ko Flipkart Par Becha Jaega. Flipkart Ne Xiaomi Poco Phone F1 Ka Teaser Page Live Kar Diya Hai. Poco Phone F1 Ke Teaser Ko "As Fast As You" Title Ke Sath Live Kiya Gya Hai. Xiaomi Poco Phone F1 Me 6.18 Inches Ki Full-HD+ Display Jiska Aspect Ratio 18:9:7 Hai. Poco F1 Me Snapdragon 845 Processor Diya Jaega. Poco F1 Do Storage Varient Ke Sath Aayega 128 GB Or 64 GB. Agar Baat Kare Poco F1 Ki Price Ki Toh Poco F1 64 GB Varient 33,000 Rupay Ke Aas-Pas Or 128 GB Varient 36,000 Rupay Ke Aas Pas Hai.